The New York State Public Service Commission plans to convene a formal, evidentiary proceeding on the issue of "copper abandonment". The Union has been pressing for evidentiary hearings for a long time. A formal proceeding like this means that testimony by all parties will be provided under oath, documents can be subpoenaed, and that the PSC expects to issue a ruling at the end. The date for the hearing hasn't been set yet, but it's expected to be soon. Last year the PSC conducted a study on the state of telecommunications in New York State, and a series of public hearings throughout the state, where CWA representatives, community advocates, and customers testified in addition to the telecom companies and regulators. The state-wide hearings were important in highlighting the scope and depth of the problem, and helped lead to the call for evidentiary hearings. The PSC is also holding a two-day "Technical Conference" next week on many of the issues raised in the study. 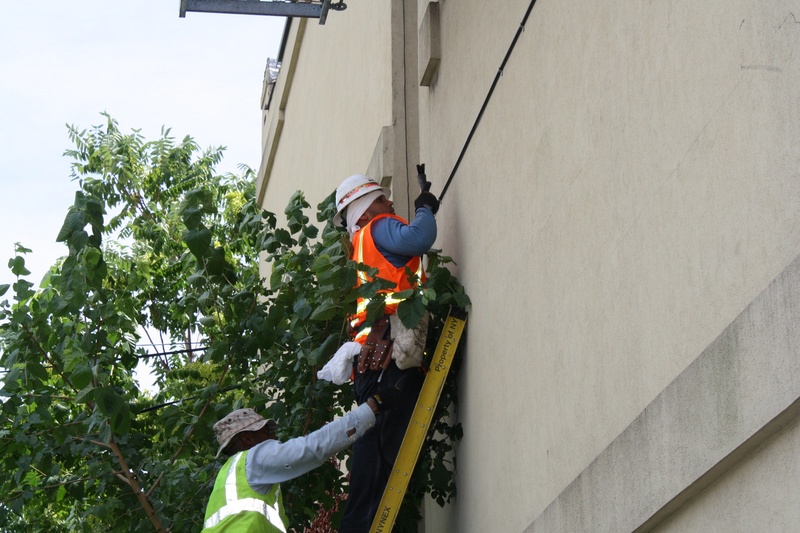 Verizon has come under increasing pressure in New York, New Jersey, Pennsylvania, and numerous states throughout the region for its abandonment of the copper network, failure to build FiOS across the footprint, and serious service quality issues. The Union has pointed out to regulators and legislators that these issues are directly tied to the companies' aggressive cutting of its workforce. The PSC hearing is a huge step in the effort to hold the company accountable to its customers, the communities it serves, and its workers. We'll keep you posted as more details become available.